Haha, I kind of see a cow for some reason! 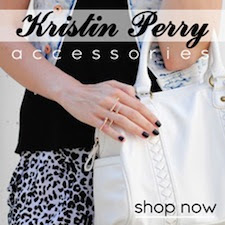 I absolutely love your DIY! Omgsh, I LOVE this DIYed shirt! I'm so looking at that video to find out how to do this :) It looks so cool. You look great, I love the heels you paired with this casual outfit! When I saw the first photo I thought cute tee. Then I saw the collage and thought. Love the wings! So lovely. Cute look. This outfit is adorable - I particularly like the necklace and the shoes (aside from the shirt, of course!). I just watched the video. Totally need to try this one day!! I kind of see the bulldog to haha! I love the blazer with denim shorts look! It looks so summery there. I see... a weeping lumberjack in the ink blot? Love the blot -- my guess was sunglasses-wearing gorilla on instagram I think, or was that on your DIY post, can't remember! Ah! -- and great jacket too. Have fun in China! Hope you got that VPN, whatever it is ;). I definitely see a face, like a really round one... I hope that doesn't mean anything crazy haha I love the colour of your shoes too! What a great idea! And the shirt is so cute! oh my god I really love this :) looking great! PS: gave you the lovely blog award on my blog! I just adore your blazer! "a fat tiger" Hahaha. I don't think those tests are very revealing. Lol. I always take them and I'm like, "Butterfly, butterfly, butterfly....All of these look like butterflies." Anyway :P Love the sandals. I would buy them if they were my size. Your t-shirt is awesome! I see a man's face. I feel like a top like that would be a great conversation starter. And I really like it with your blazer! Are you having fun in China? :D I've been keeping up w/your Twitter and stuff. Must be hot right now! 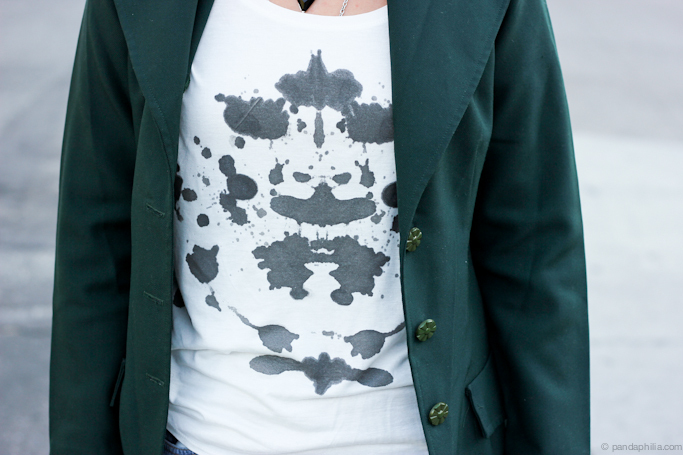 I LOVE this t-shirt, I really want to make my own inkblot on a shirt of my own! It looks really cute - I might make a more grungy version with bleach and a black vest top. 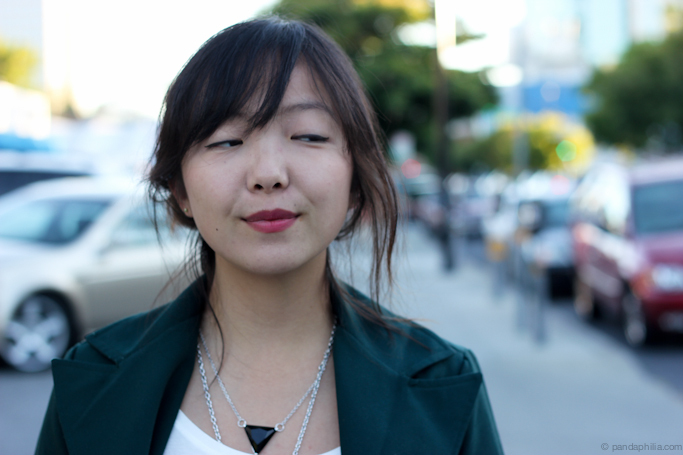 If I manage to do it, Ill post photos on my own blog ! I love that shirt, and that DIY is really cool! 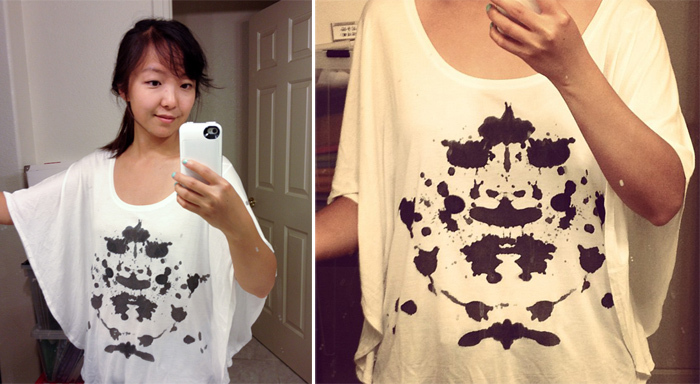 wow well done on creating your own Inkblot Tee!!! AMAZING lady!